“Our longstanding partnership with TLMI since 1992 has proved to be one of our most valuable over the quarter century we’ve been working together, so it felt right to mark this milestone by formalizing our future long-term collaboration. 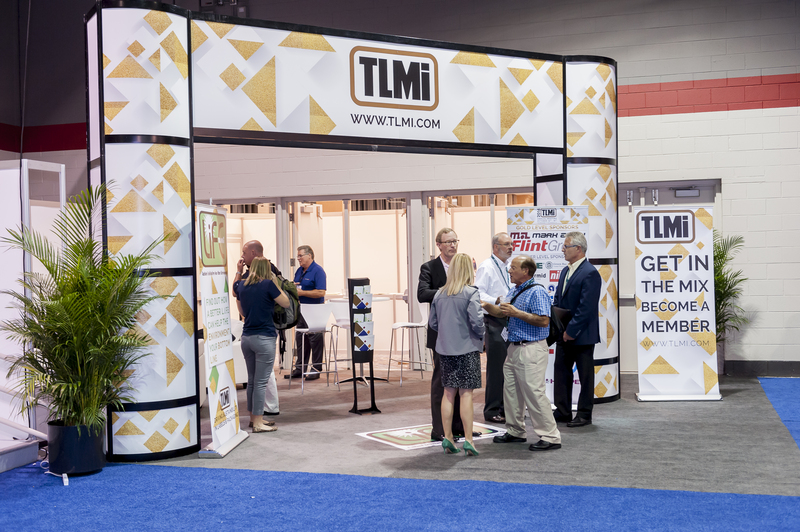 TLMI plays a vital role in steering the labels and package printing industry, and with their support and member insight we have been able to build Labelexpo Americas into the extremely successful event we see today. “We are delighted to continue as the Official Co-Sponsor of Labelexpo Americas for the next decade. The show is a vital platform for not only showcasing the latest trends in a continually innovating industry, but also raising awareness of the key challenges it faces. We are seeing some truly exciting trends emerging through our members, including developments in automation, digital printing and hybrid presses. However, sustainability is also of increasing concern, and one of our core objectives is leading the way in reducing the volume of matrix and liner becoming waste. As well as showcasing the latest sustainable products at the TLMI Ecovillage, the waste matrix collected from the live press demonstrations over the course of the show will be brought to the TLMI Ecovillage and baled. Visitors can see live demonstrations of the process. The material will then be sent to Convergen Energy who will make the waste into fuel pellets, which have a lower carbon footprint than fossil fuels. The TLMI Ecovillage will also be hosting a session each day of the show tackling the big myths surrounding sustainable packaging and what converters should really be concerned about. This includes recycling, the new plastics economy and sustainable materials management. Full details are at www.labelexpo-americas.com/tlmi-ecovillage. Labelexpo Americas 2018 takes place from 25-27 September at the Donald E. Stephens Convention Center, Rosemont, Illinois. Spread across five exhibitions halls, well over 400 exhibitors will be taking part. For a taster of the trends visitors can expect to see at Labelexpo Americas 2018, visit www.labelexpo-americas.com/videos. The TLMI press conference will take place in the press conference room 13 at Donald E. Stephens Convention Center. Please note that all press members in attendance will receive a copy of the full TLMI brand owner/packaging buyer report upon publication. To view the full Labelexpo Americas 2018 press conference schedule visit www.labelexpo-americas.com/press-conferences-2018. TLMI is located on booth #99. TLMI is dedicated to helping its members succeed in the label and package printing industry. Knowledge sharing through open and authentic networking is its core strength. The association unites industry executives to share, discover and advise in areas that impact its collective success. TLMI is a member powered association. Together they address the industry's most relevant concerns such as workforce development, government and regulation, and sustainability that can only be solved through collaborative efforts. Their focus is on communicating the industry's technical developments along with peer and production benchmarking and the sharing of market intelligence. As the industry's most member-driven advocate, TLMI actively works with other like-minded associations, educational institutions and the broader recycling community to ensure its members have influence on all things that impact its member companies. For more information visit www.tlmi.com.